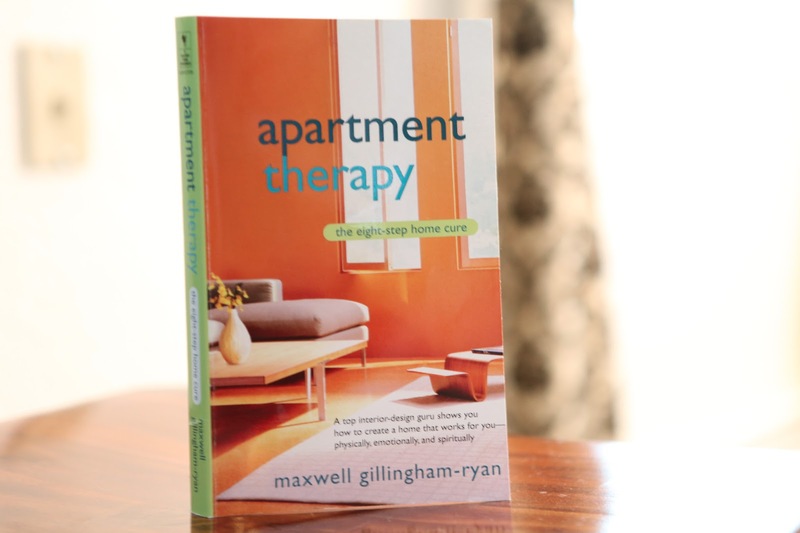 apartment therapy by maxwell gillingham-ryan has been out since 2006 but it is still my favorite go to book after i move into a new apartment. we move so often you would think i would be able to write my own book about it but why would i when someone has done it for me. the book is broken down into two parts. one: the home is a living place and two: the cure. he includes tips on budget, organization, cleaning and decorating. i have a copy on the book shelf and one copy in my iPad. then this book is worth a look for you. i work off of a cleaning schedule. i started it years ago when i found flylady.net. over the years it has been modified to fit my life during each changing season. my favorite part about a schedule is that it is completely forgiving. if i do not get to a chore one day…it’s okay there is always tomorrow, next week, next month. i clean by zones for my deep cleaning. i am not a spring cleaner. i break it up doing it in pieces all year. that way i am never overwhelmed. i take one zone each week and work 15-20 minutes on each zone each day. if i am too busy to get to a certain zone that week i just wait until it comes around again. each time i work a zone in my house i think about improving my organization. when it is broken down like this it is not so overwhelming to do. each room should never hold more than three purposes for me. like the craft/exercise room. i try not to make that room storage or a bedroom or anything else. it has its purpose and i do not like to overwhelm that space. it makes it easy upkeep. i found the home routine app that makes this so easy to follow and you can adapt it to your schedule. there is a $4.99 fee for the app but it is well worth it. when i worked this schedule was significantly different. i work from home now so this schedule works for me. when i did work my morning schedule was short and i had 5-10 minutes to do a few errands. my evenings and weekends took up most of the rest. it is whatever works for you. i started this schedule when my kids were young because things were slipping and i felt my home was out of control. i wanted to take back the control and leave the guilt. this worked perfectly. 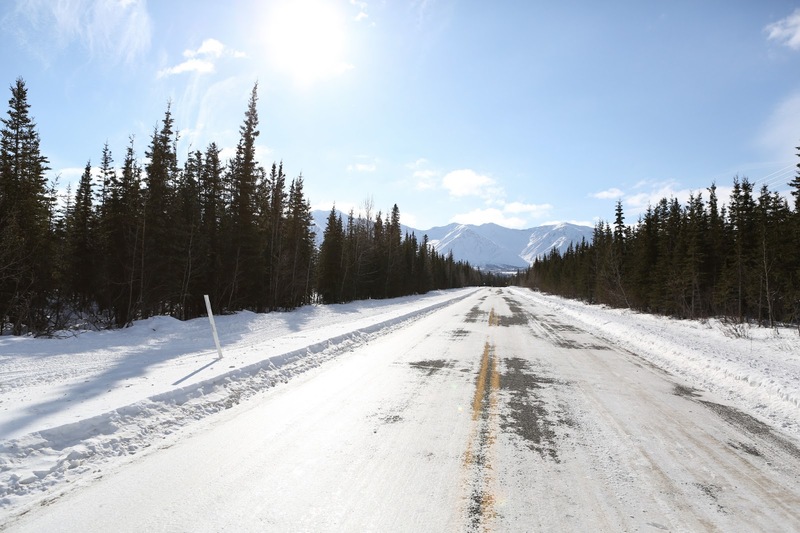 i don’t know about you but i think i am over winter. 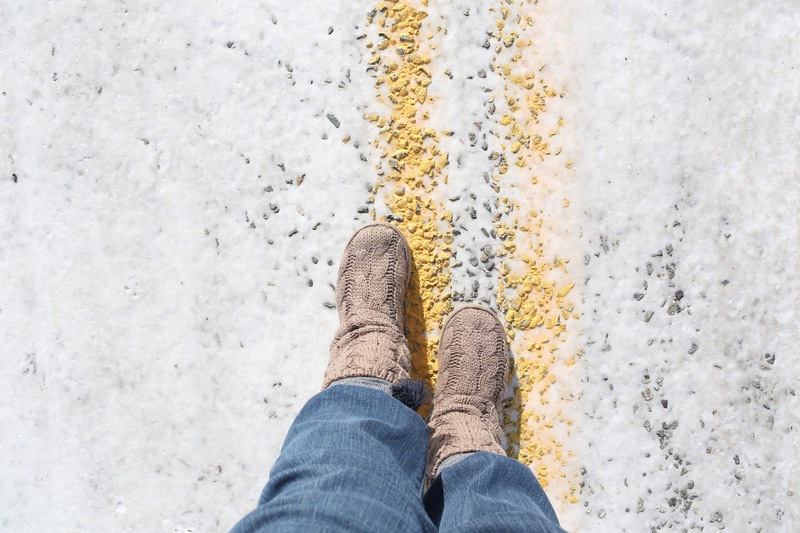 i am a firm believer in enjoy the seasons as they come but winter is always my challenge. i see pictures on the web of green grass, flowers, gardens being planted and i just can’t help but be a little envious. 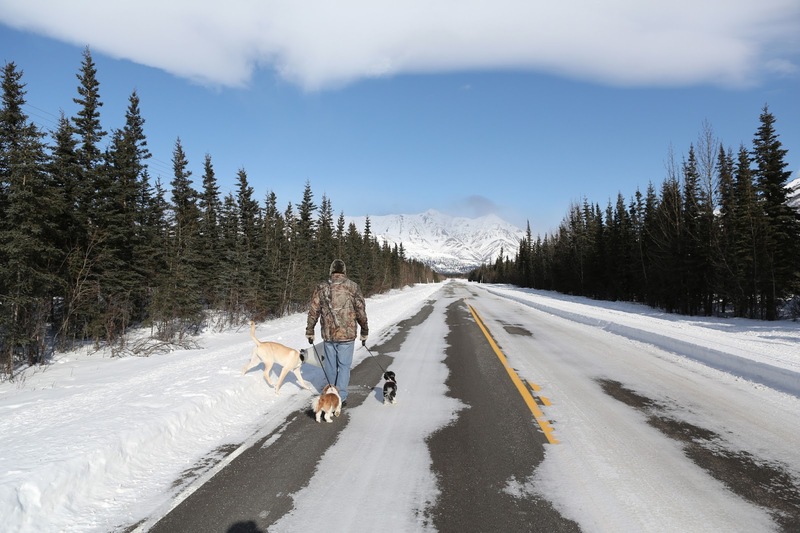 the best cure for me is to grab the camera and head out in the cold with husband and pups in tow. 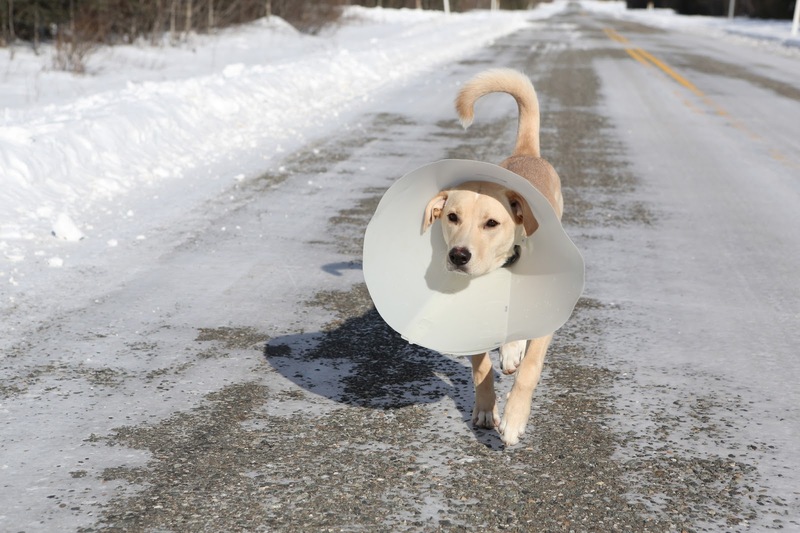 on a side note summit had surgery last week and had to wear this cone of shame….poor guy. on the way back i am freezing but feeling much better. i don’t know if it is the exercise, sunshine, or fresh air. i guess i do not care, i am just happy that i am feeling better. card making can be done with basic supplies. i have a lot of supplies after years of scrapbooking and then and dumped scrapbooking and picked up card making and kept the supplies. i cut the 8.5 X 11 paper in half and fold it over to make the base card. cut scrap pieces of paper in squares and strips. i did not have a lot of spring colors of cardstock and so i took white and blotted it on a stamp pad. its not perfect but not to bad in a pinch. this month i did not use a concrete theme. i like to have a stash of blank cards so that i can use them for all occasions. i have a card file that i place the finished product in. it makes it so easy to grab a card and get it in the mail quickly. i buy envelopes at wal-mart or michaels and throw them in the file. if you do not want to make cards this month there are so many adorable, fun, sweet cards to purchase. a card file too. every month i chose a theme and make cards for my file that match that theme. sometimes i cheat and just buy cards that match the theme. i absolutely hate trying to make a card last minute and to be honest most of the time it does not happen and i miss my moment. sending a card and receiving snail mail is so much fun and i for one do not want it to die off. i like to keep my holiday decorations simple. i have focus areas that i stick to and it has relieved some stress around the holidays. i like to have a wreath on the door that can easily be stored. 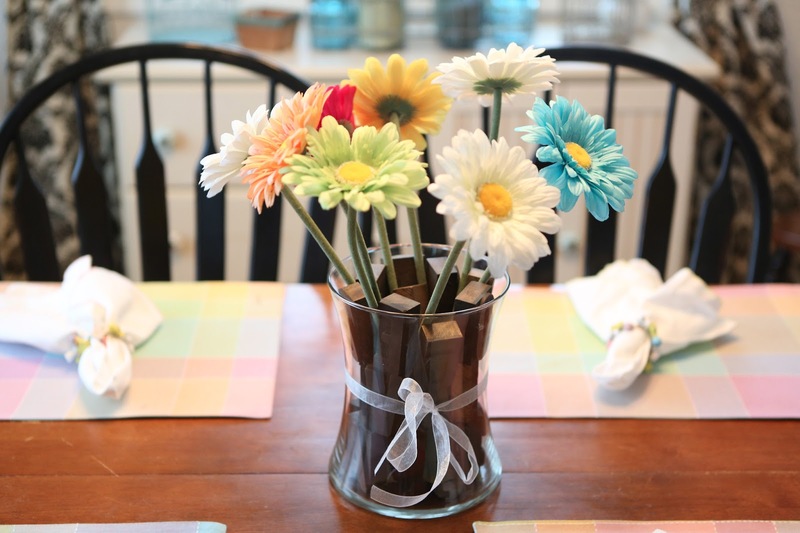 the vase on the dining room table stays there most of the year and i just exchange the flowers for the different seasons. last year i started focusing on the table decor. 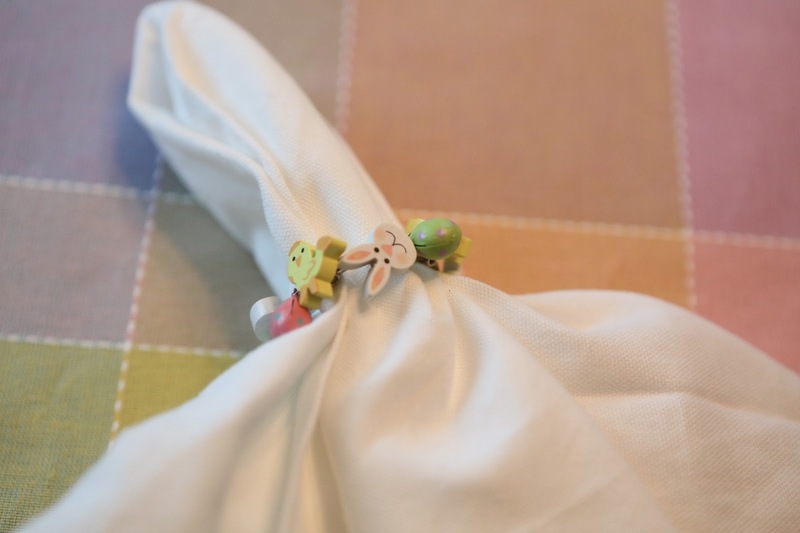 i find a cute runner or placemats, some napkins and napkin rings. sometimes i have cute dishes too but for easter i just use the dishes in my cupboard. 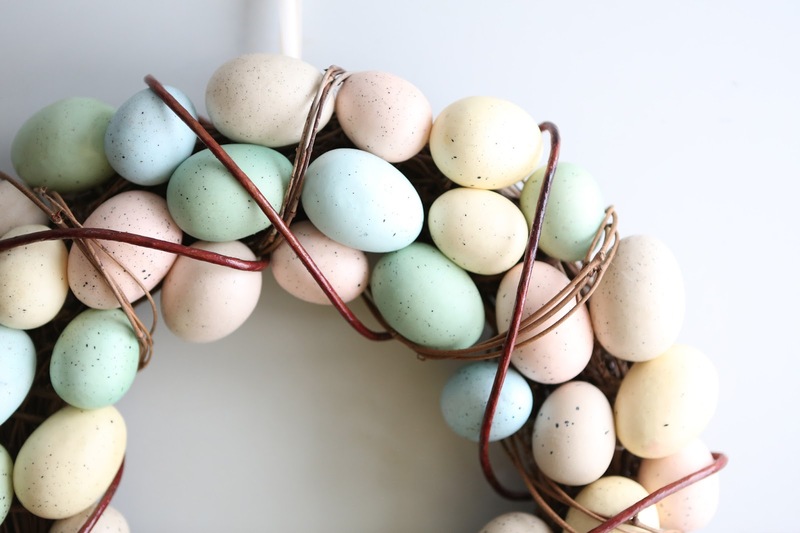 they are neutral and perfect for easter. 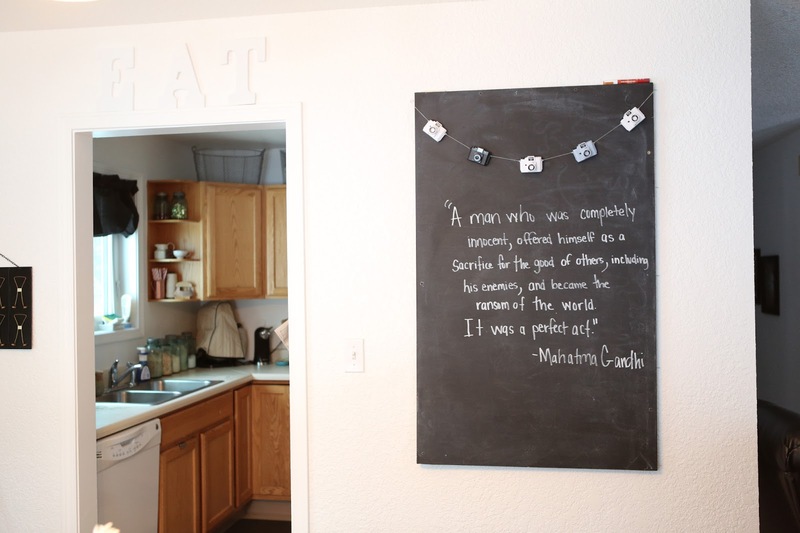 i have a chalkboard that displays quotes, songs or sayings for the seasons. i may start changing the garland to match the season….i am totally smitten with garlands. 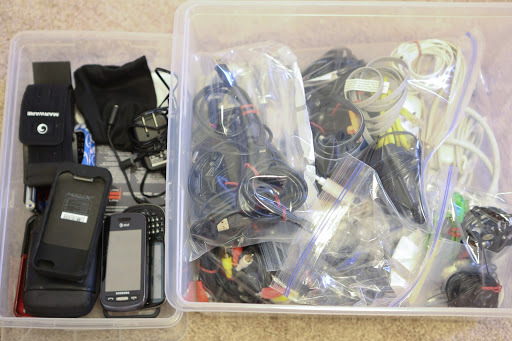 i always start my project with the amount of space i will allow for the items i am organizing. 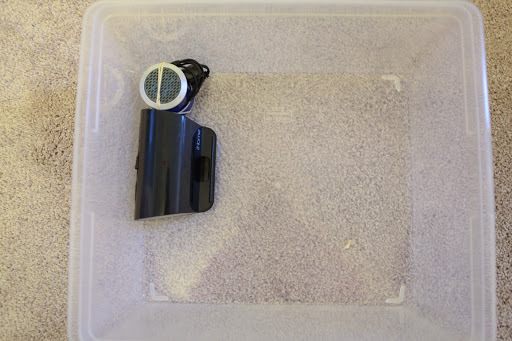 for this project i knew i was not going to allow for more than this size of a container. 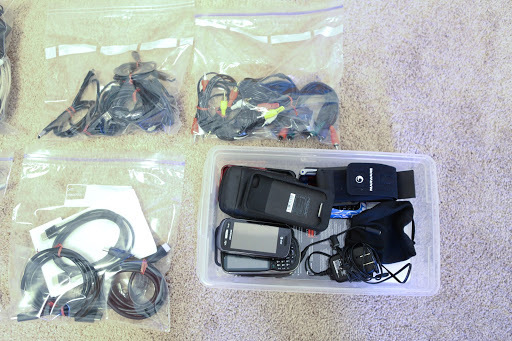 i sort all the cords and place them in ziploc bags with the exception of the cell phones and cases that i have placed in a separate container. i tie each cord with a twist tie to keep them from getting tangled. 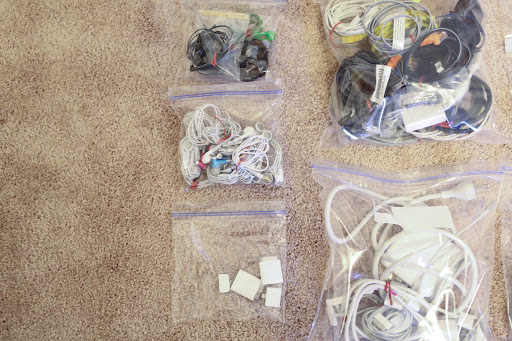 there is a ziploc bag for head phones with white cords, bag with black cords, bag with apple product cords, misc power cords, hdmi cords, and the cords with the three colored cords….I do not know what they are called. amazing enough all the cords fit. the box that they were in before was twice this size. i did not throw but a few cords out.